The Inspector-General of Police, Ag. IGP Solomon Arase, has ordered State Commissioners of Police, CPs, and Divisional Police Officers, DPOs of volatile places to arrest and prosecute cultists who are suspected of causing problems in the respective communities. A release signed by the Force spokesperson, Emmanuel Ojukwu, stated that this action is to forestall a breach of peace in these areas. 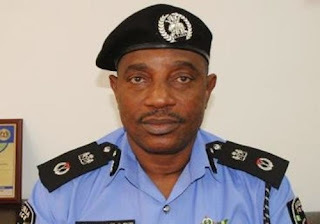 "The Inspector General of Police, Solomon Arase is seriously concerned about the activities of cult groups in Benue, Rivers, Cross-River and Akwa-Ibom States and has directed all Command Commissioners of Police and Divisional Police Officers of the affected states to arrest and prosecute any youth engaging themselves in cult activities in order to forestall the increasing menace of this evil." The IGP warned all the States' Commissioners of Police and Divisional Police Officers to be on the lookout for these cultists and bring them to book. He however advised parents and guardians to warn their wards and children against this social menace that can jeopardize their future. While observing that no nation can develop if their youths, the leaders of tomorrow, involve themselves in cultism and other criminal activities, the IGP urged the youths to rather engage in productive activities.